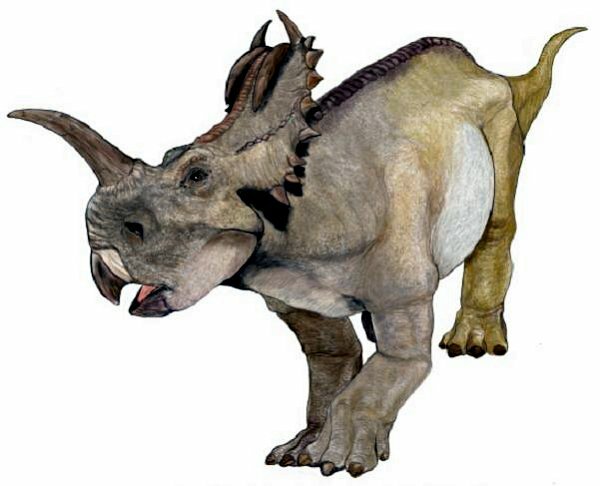 Today, many paleontologists believe that the “type specimens” of this ceratopsian should properly be assigned to Centrosaurus, which had a strikingly similar (and massively ornamented) head sprouting one big horn out of the snout. If Monoclonius hadn’t been named by the famous paleontologist Edward Drinker Cope in 1876, it might long ago have receded into the mists of dinosaur history. Complicating matters is the fact that most Monoclonius fossils seem to be of juveniles or sub-adults, which has made it more difficult to compare these two dinosaurs. Monoclonius was a medium sized, early ceratopsian and an ornithischian dinosaur, the order of bird-hipped dinosaurs. It was first described in 1876. The name Monoclonius means “thick single sprout” and refers to the single root of the teeth. Its intelligence was intermediate among the dinosaurs. It was an herbivore, it probably ate palms, cycads and other plants. It could chew them well with its cheek teeth. 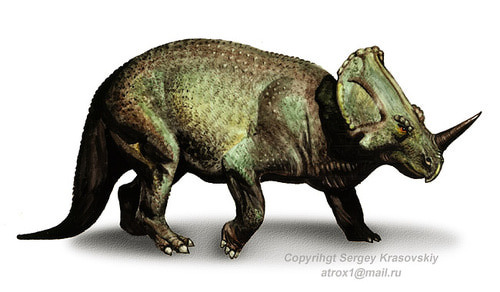 Monoclonius was probably a herding dinosaur and it was quite a slow-moving animal. This one-horned animal walked on all four short legs with hoofed toes. It had a bulky body and a short thick tail. Its head was huge, with a small frill on it, a single nose horn and two smaller horns over its eyes. Males may have had larger frills than females; the frill may have been used for mating purposes. 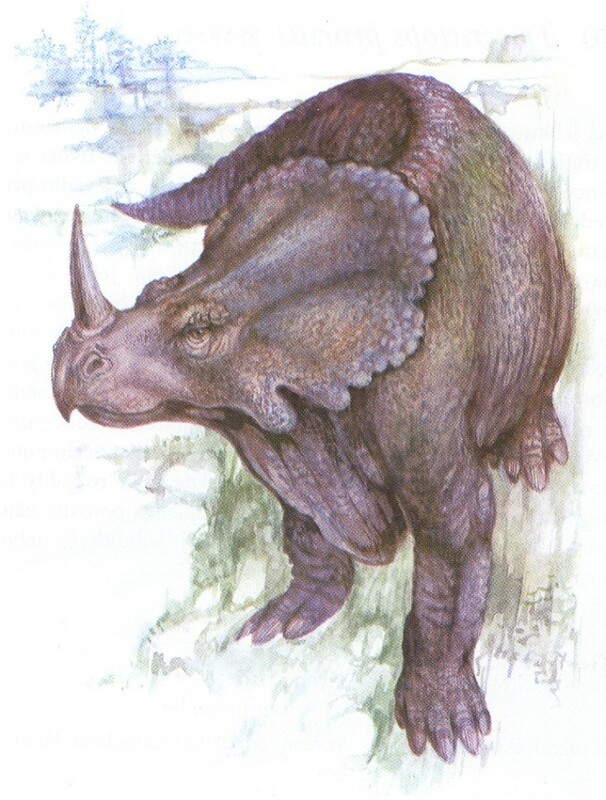 Monoclonius held its head close to the ground. One nose horn pointed to upwards. It had a short snout ending in a parrot-like. Its tough, hook-like beak was toothless, but it had many cheek teeth.